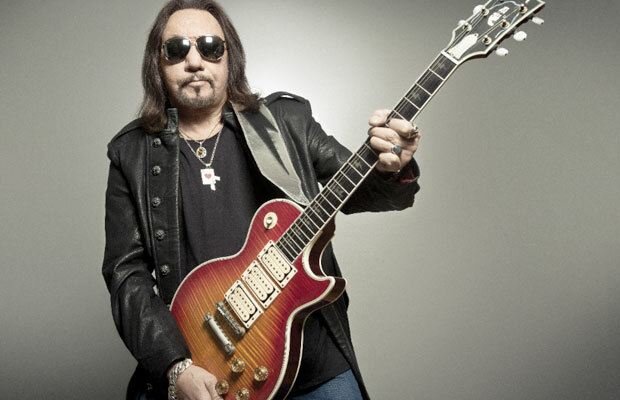 MetalRockNews: KISS' Ace Frehley: "I really can't go anywhere without getting recognized"
KISS' Ace Frehley: "I really can't go anywhere without getting recognized"
KISS guitarist Ace Frehley was recently interviewed by Las Vegas Magazine, you can read some excerpts below. About the fact that his public profile is at its highest since the band's reunion tour twenty years ago, he said: "I really can't go anywhere without getting recognized. It all kind of snowballed with being inducted into the Rock And Roll Hall Of Fame in 2014 and then the release of 'Space Invader', and I've been doing a lot of extensive touring over the last couple of years. So all that combines. Being in the press a lot gets your picture out there a lot on the Internet. Wherever I go, I get recognized. I gotta pick and choose where I'm going, where I'm not going to get hassled, hopefully." About if the shift in the music industry toward musicians making most of their living through live performing in the industry has been good for him, Frehley said: "I'm such an established star that I don't pay too much attention to what's happening in the music business. I've always done what I do. I've always had my audience. KISS fans and Ace fans are very loyal. I don't pay too much attention to what's going on in the music business. I know it's in an upheaval. People aren't buying CDs like they used to, and records, because of the Internet downloading. Everything balances out eventually."